I found a box of pictures last night of when I was in my twenties and thirties. I was shocked to see how lovely I was. I never had the body of a twelve year old. I was always curvy and full. I was always dieting, worrying about my looks, and never enjoying just being me. I look back and I was definitely pretty. I didn’t know it at the time. It wasn’t until recently that I actually met this woman that is now fully present in my body. That’s the thing with each passing year…while you are in your skin without acknowledging your worth and truth you just don’t accept your loveliness, beauty, and radiance. I was all of those things and didn’t even know. I wasn’t me. I was pretending to fit into a life of a society that expected perfection. And because of that I always picked partners who would instill the lack of worth in me. It was a wonderful dramatic play. I needed to show I was a good mother, a wonderful business woman, a magnificent housekeeper, and a decent lover. Everything had to be just so or what would the world think of me? Nope, I wasn’t really being me. 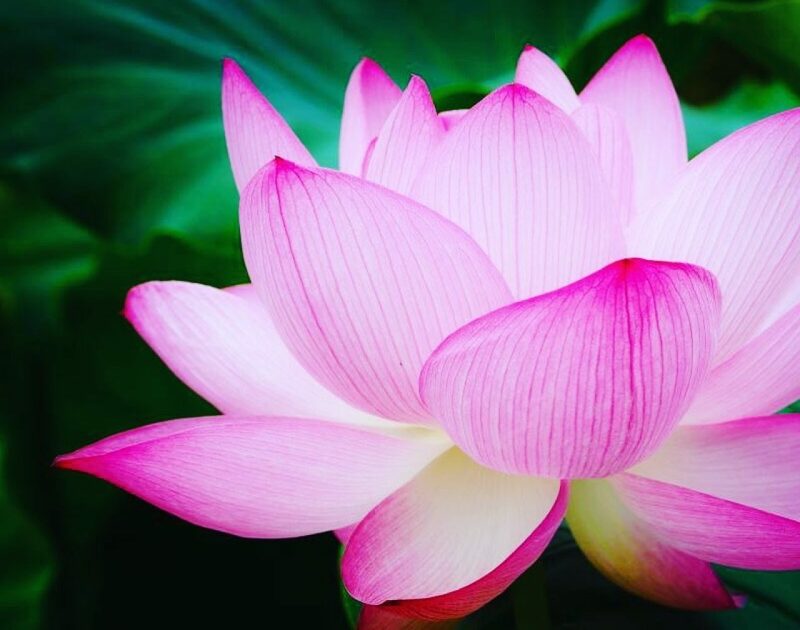 When was the last you actually looked at yourself and acknowledged your beauty: the inner and outer radiance of your soul? We can live in the past mourning the loss of what we had when we didn’t even know we had it because just like now, we don’t live in the present. We live in the past and the future. 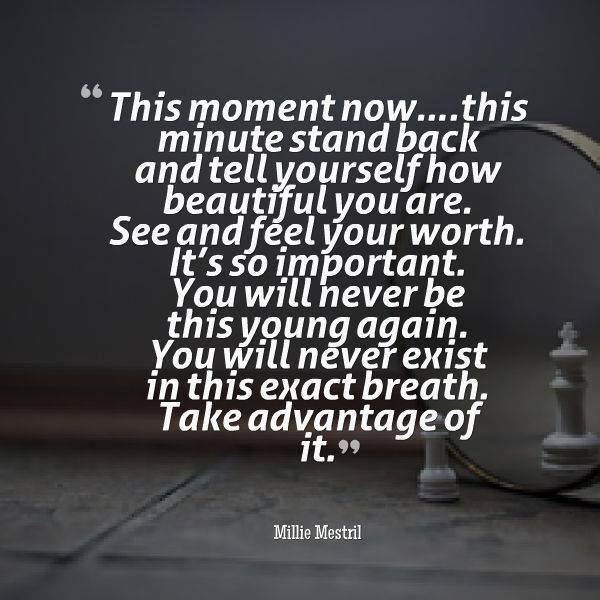 This moment now….this minute stand back and tell yourself how beautiful you are. See and feel your worth. Stop the negative self hatred. Love who you are right now. It’s so important. You will never be this young again. You will never exist in this exact breath. Take advantage of it. Be gentle, be loving, and feel the magnificent spirit that is occupying the body. You are amazing. Be you today. Forget who to be when the world demanded that you be one way or this way or any way. Be the you that is here now! Have a blessed day, darlings. I love you all. I love you, lady! This is great, Millie. Thank you, beautiful soul. Mucho love to you. YOU ARE STUNNING! YOU are DIVINE! Thank you, darling, for your support and generous words…always. Have a blessed day.